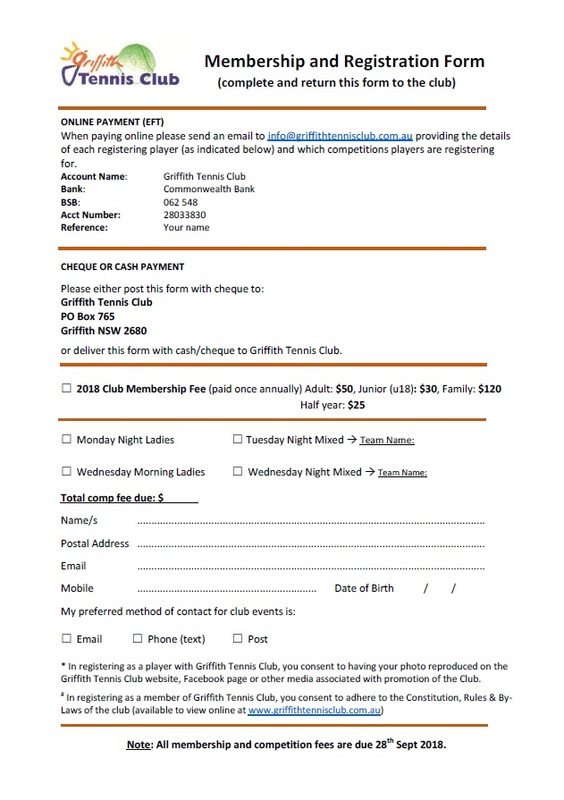 The 2018 Spring Tennis Social Competition in Griffith is all set to kick-off in late August…get amongst it!! Use these links for competition information and registration forms. 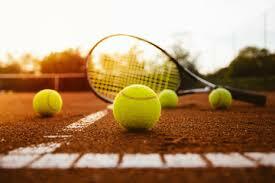 Registration forms will also be available at the Tennis Club House during coaching hours or Winter Wednesdays. 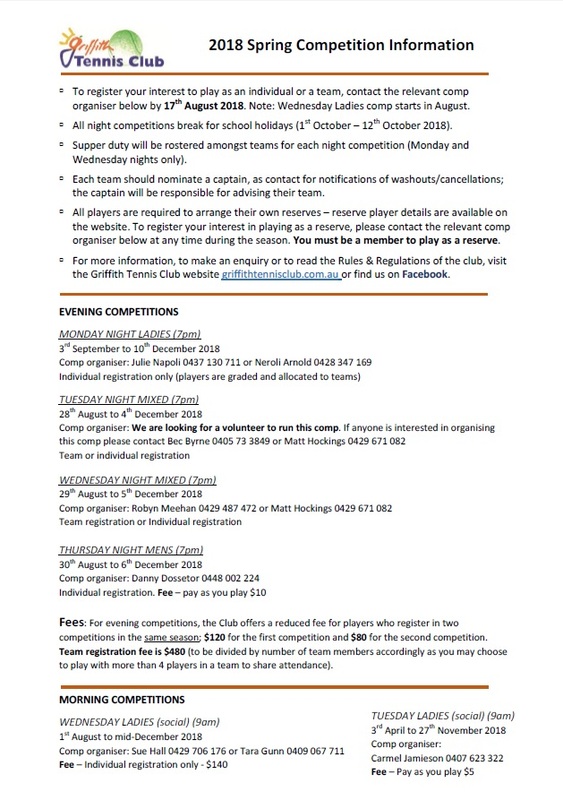 This entry was posted in General Club Info on August 3, 2018 by Bec Byrne.